Washington • Rep. Chris Stewart said Tuesday he’ll introduce legislation to turn a piece of the now-dismantled Grand Staircase-Escalante National Monument into Utah’s sixth national park. And a fellow Utah Republican, new Rep. John Curtis, unveiled a measure to add law enforcement to the two remaining swaths of Bears Ears National Monument, forbid oil and gas drilling and mining in the region and give tribes a role in managing the lands. A day after President Donald Trump removed national monument status for 2 million acres in Utah, the GOP House members said their bills will brand the executive actions into law, ensure public access and protect sacred and culturally significant sites. 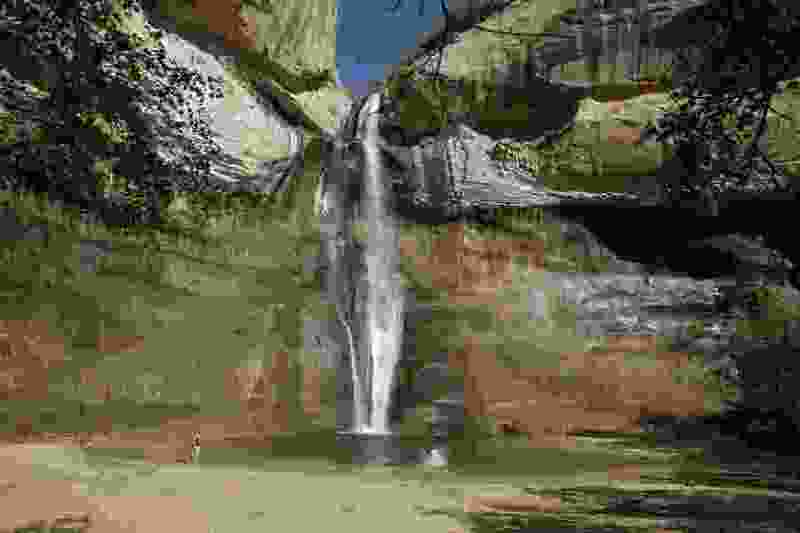 Stewart said his bill would create the Escalante Canyons National Park, a 100,000-acre area that includes a network of slickrock slot canyons draining to the Escalante River and the 130-foot-tall Escalante Natural Bridge. If approved by Congress, it would join Utah’s Arches, Bryce, Canyonlands, Capitol Reef and Zion as a showcase national park. Curtis, who has been in office for three weeks, said his legislation would bar mineral extraction — oil, gas and other forms of mining — inside the original Bears Ears National Monument, which Trump trimmed to about 200,000 acres Monday from its initial size of 1.35 million acres. That prohibition does not extend to areas previously protected by Grand Staircase-Escalante National Monument, which Trump split into three monuments covering about 1 million acres, down from the 1.9 million acres previously. Trump’s changes likely open up a large coal seam in the area for mining. Environmental groups and American Indian tribes have filed lawsuits to block Trump’s actions. Curtis’ legislation also seeks to give American Indians some decision-making authority with the now two monuments within the original Bears Ears designation by creating a management council that includes tribal officials and San Juan County leaders. In naming Bears Ears National Monument a month before leaving office, President Barack Obama set up the Bears Ears Commission to ensure tribes would have a say over its management. But Rep. Rob Bishop, chairman of the House Natural Resources Committee, called that group a “token” advisory board because it has no authority. Bishop, whose committee will debate the new legislation, also said that it’s a “false narrative” that the monument changes were about opening the lands for the extraction industry. “There is no oil and gas potential in there,” Bishop said, referring to the Bears Ears region. Curtis is also calling for money to provide law enforcement in the area, saying his legislation will require at least 10 officers to patrol the former and current monument turf to ensure people aren’t taking ancient artifacts or destroying cultural, sacred or historic sites. He added that if Congress passes the legislation, it would make the tribes’ lawsuit against Trump’s actions “irrelevant” because the legal challenges assert that the president doesn’t have the power to revoke monument status but Congress does. Interior Secretary Ryan Zinke released a memo Tuesday to Trump in which he spells out his findings following a review, ordered by Trump, of 27 monuments designated since 1996. The official report had not been made public. The report details Zinke’s recommendations to change the Bears Ears and Grand Staircase monuments, as Trump did Monday, through the “lawful exercise of your discretion granted” by the Antiquities Act. The Zinke memo also requests Congress step in to provide Native American input on the remaining Bears Ears monuments and to set up the right management plan for the Grand Staircase area. Bishop said that the all-Republican Utah delegation would work to “replace symbolic protection” of the monument designations with congressionally sanctioned protections. “We are united in what we’re doing here,” Bishop said. State Sen. Jim Dabakis, D-Salt Lake City, said in a statement that Stewart’s plan to create a national park is just a ploy to distract from the fact he and other Utah GOP officials want to open up large chunks of land in southern Utah to mineral extraction. Likewise, the Southern Utah Wilderness Alliance said Stewart and Curtis’ efforts to create a park and turn Trump’s actions into congressionally approved law were just a way to distract from actions to destroy the monuments.